Sick of trying to find a hoodie for the summer that isn't too hot or too thick? 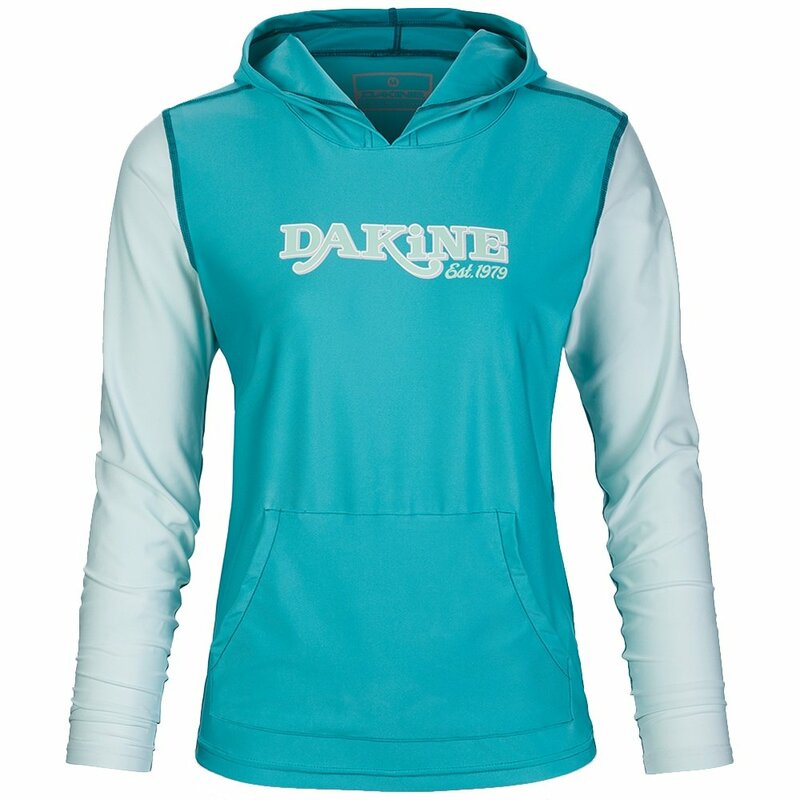 Then look no more, because the Dakine Flow Loose Fit Hooded Long Sleeve Rash Guard is the hoodie of your dreams. It's thin, lightweight polyester-elastane blend fabric is quick-drying and has the perfect amount of stretch to hug your curves. It weighs in at only 6.5 ounces, perfect for surfing or just lounging on the sand while protecting your skin. A thin hood and flat-lock seams make the Loose Fit Hoodie ideal for summer days when the waves are calling. Lightweight, quick-drying fabric won’t hold water or weigh you down. SPF 50 sun protection stops harmful rays from hitting your skin. An affordable price point makes this a smart choice for girls who live at the beach.